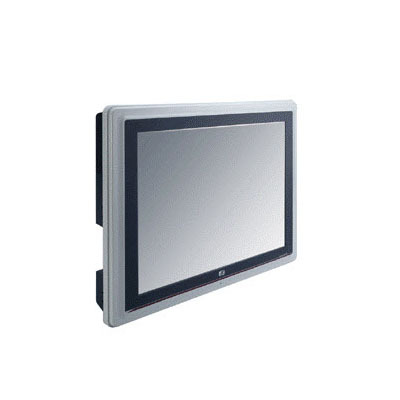 As the market of infotainment and entertainment broadcasting kiosk is becoming increasingly prevalent, AXIOMTEK presents a new 12.1" SVGA TFT fanless touch panel computer, the GOT-5120T-830. To sustain continuous and repeated usage, this compact unit delivers superior computing and graphics capability on fanless operation and power saving advantage, with Intel Atom processor N270 and Intel 945GSE chipset. Besides, there are more marvelous features tightly integrated into the unit to support a wide range of digital content broadcasting, which are modern and ultra slim design, touchscreen, mini card slot and built-in WLAN antenna for wireless network connection, optional RFID function, 2.5" SATA HDD and CompactFlash storage devices, thermal solution and anti-vibration design. Thus, this fanless human machine interface can greatly contribute to anywhere people would visit like supermarket, mall, restaurant, museum, theater, music store, station, hotel, meeting room and convenience store.